Years of government crackdowns on methamphetamine production in the United States only opened the door for Mexican drug cartels. Since 2009, methamphetamine seizures at the San Diego port of entry field office rose 300 percent, the California-Mexico border accounts for 63 percent of all synthetic drugs seized nationwide, The San Diego Union-Tribune reports. The problem is only getting worse, in 2014 seizures of methamphetamine at California-Mexico ports of entry reached never before seen figures - 14,732 pounds. The cost to produce large quantities of methamphetamine is little compared to cocaine, Hill said. The low overhead means that the drug can be sold for much less than ever before. In San Diego, undercover agents are purchasing meth for $3,500 a pound, versus about $11,800 for a pound of cocaine, said Hill. 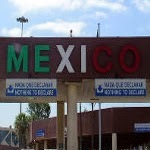 About 90 percent of the meth used in the United States is made in Mexico. When the drug makes it across the border it is distributed across the country, the article reports.